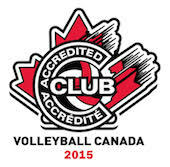 The Club launches 13U Boys program with a bang! In 2001, the year the majority of incoming 13U Maverick Stallions were born, Paul Gratton had already established himself as one of the prominent player agents for professional volleyball players in North America. Who is Paul Gratton? If we had to make a hockey analogy Paul would be the Gordie Howe of Canadian volleyball. He was “the” super star that future Canadian superstars like Gino Brousseau, Paul Duerden and Gavin Schmitt would look up to when they were raising through the Canadian ranks and world wide star recognition. Paul Gratton, former Captain of Team Canada and 1984 Olympian, first joined the Maverick Volleyball Club in 2007 as the Director of the Boys Senior High Performance Programs. With his vision and depth of international experience he helped to not only shape the Boy’s HP program but the Club’s whole HP program. His work helped in the Club’s first National Championship at the Boys 18U level in 2009 and perennial contenders on the National stage ever since. Paul, an Orleans native, is one of the most accomplished volleyball superstars in the world with a long list of successes to his name. Gratton played for Canada from 1977-1985 and helped Canada place 4th at the 1984 Los Angeles Olympic Games(Canada's best finish ever). After 1985, Gratton played professionally in Japan, France and Italy. A frequent all-star and MVP, he was instrumental in helping his teams win a number of club championships and two silver medals at European Championships. In 1991 He founded SIM GRATTONa sports agency committed to placing volleyball players in professional teams. Paul was right, since the launch of our HP program, we have had numerous Quest for Gold recipients, Team Ontario athletes, CIS All-Stars and National Champions and finally National Junior and Senior “B” team members in both genders. Due to family commitments Paul was unable to dedicate his time to the Club however he was always willing to answer questions or provide guidance when the Club needed it. Fast forward to the winter and spring of 2013 when his son Maxim was interested in the sport of volleyball and Paul’s involvement was ramped up again when he became the lead instructor in one of our Young Maverick Development sessions. Paul thoroughly enjoyed the experience working with that young age group that he wanted to instruct in that program again for the fall of 2013 and winter of 2014. As luck would have it Paul contacted John Spack (Director – Coaching) and John informed him that the Ontario Volleyball Association will be launching 13U Boys competitions for the first time ever and asked if Paul was interested in coaching. Like any father, he had to ask if his son was interested in playing club volleyball. Maxim was interested and the Club now has Paul Gratton as our first ever Head Coach of a true 13U Boys team. Although, these young men will likely have no idea who this giant of a man is coaching them they will only realize the incredible technical base that he has taught them when they are older. The Club is extremely excited to have such an experienced, demanding yet soft spoken coach helping form the base for our young athletes. When John Spack met with Paul to discuss the upcoming season Paul’s only concern was that he had a strong supportive parent group who will take care of the team’s day-to-day management. He is also actively recruiting an assistant coach so that if the numbers warrant it they could potentially run two teams that would train together and compete separately. He wants the widest athlete base possible. Time goes by but that statement still holds true today. Welcome back Paul. To the young men born in 2001 or later you are now presented with the opportunity to work with one of the greats of Canadian volleyball recognized around the world. Will you accept the opportunity?